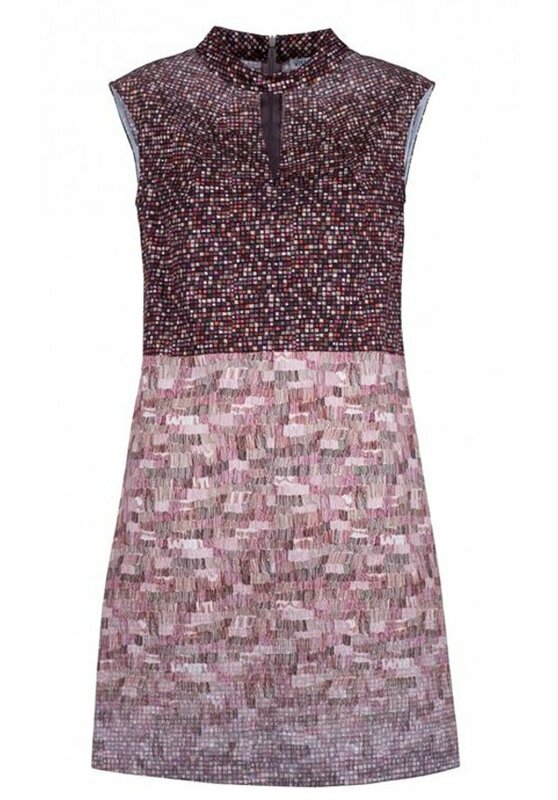 This basic purple dress has a colorful pattern. 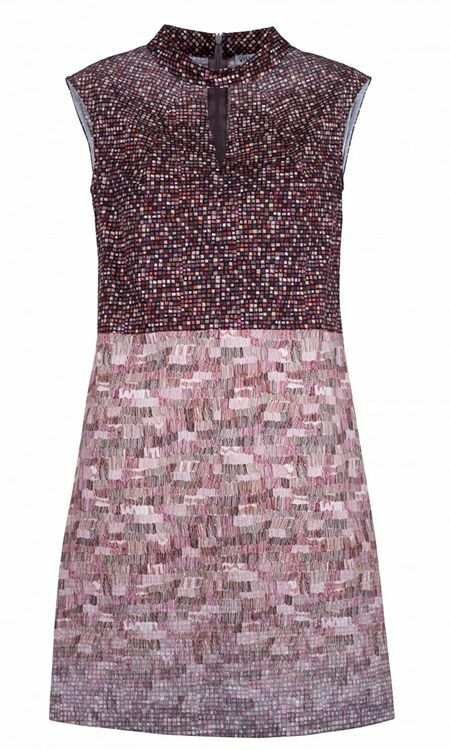 The sleeveless dress has a collar and has a midi length. At the back the dress can be closed with a zipper.